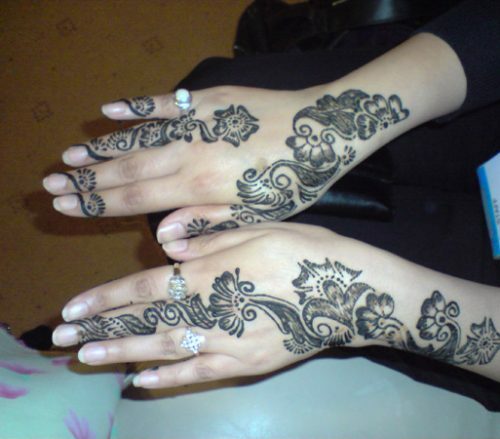 Mehndi or Henna Day is a very significant and eventful day for the bride. 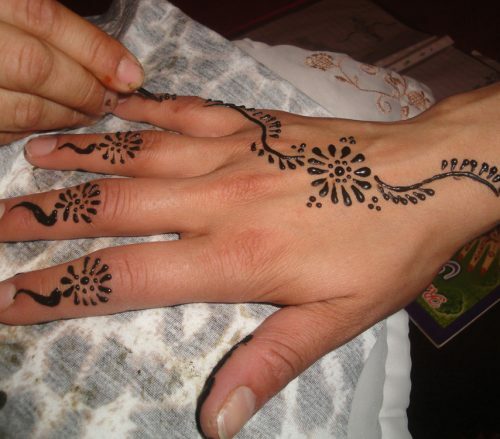 In fact, the mehndi party is done just for the bride by her family and friends. Mehndi is a celebration that can be done in the house or a venue which is decorated by lovely flowers and lively music and dancing. 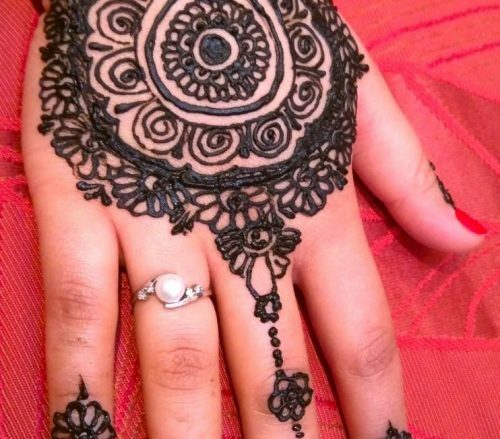 The significance here is that the bride’s hands and feet are ornately decorated with beautiful and elaborate henna designs by experienced artists. The artwork symbolises the strength of the couple’s love in the marriage as signifies by the bride’s effort to keep the henna decorations on her palms and feet on her for as long as possible. The event ends with the bride’s family and friends sitting down to enjoy a palpable dinner together. 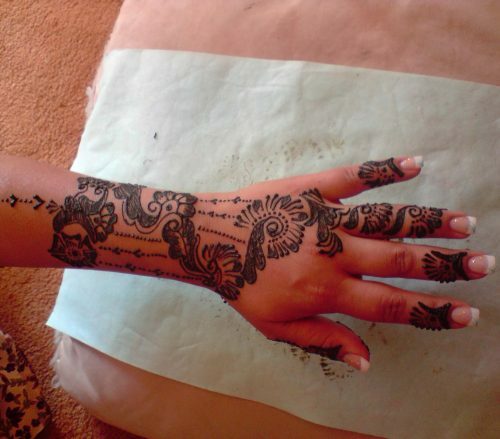 Henna Mehndi is used on hands and/or feet before marriage, parties, festivals, and general occasions, also used as traditional hair dye. 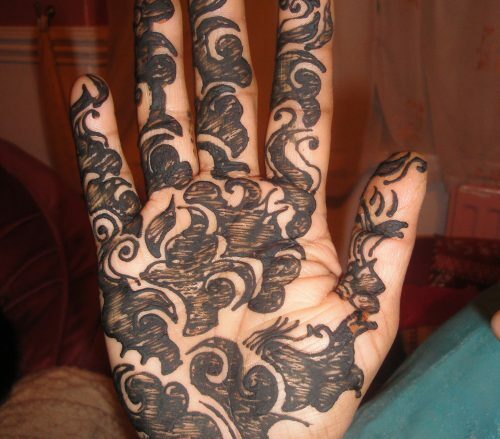 In recent popular culture, mehndi has enjoyed a renewal. 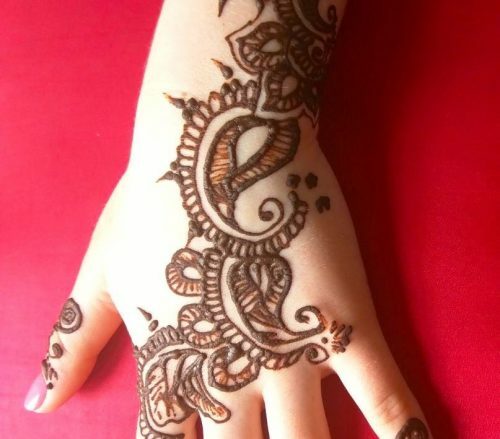 Western musicians and Hollywood personalities have adopted and altered the tradition so that mehndi is a temporary, pain-free body ornamentation alternative to tattooing is now the hottest new trend among women and men. How long does Mehndi colour last? 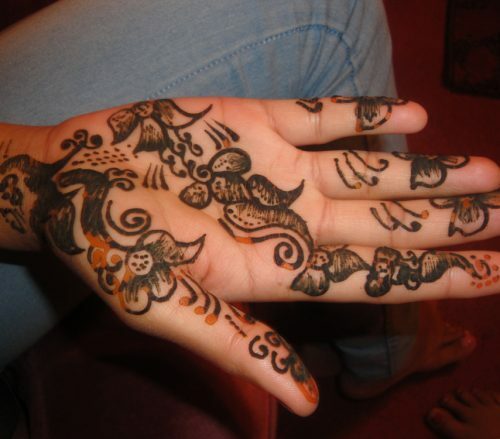 Mehndi usually lasts for at least one to two weeks. 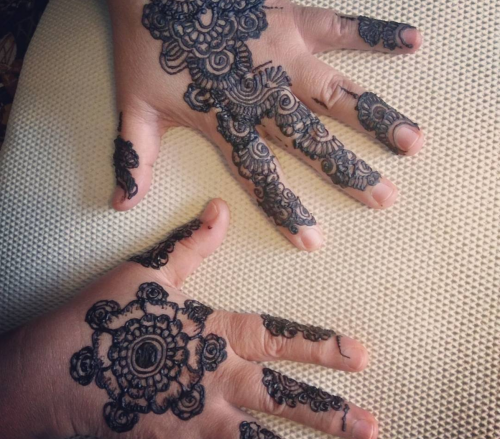 I have heard of people saying that mehndi can last from two to four weeks; however, this figure is misleading because the length mehndi will stay depends on a number of factors.